Florent Lebrun is a French concept artist who’s currently working at One Pixel Brush. After moving to Montreal, he chose to transition from matte painting to concept art—a decision he doesn’t regret one bit. 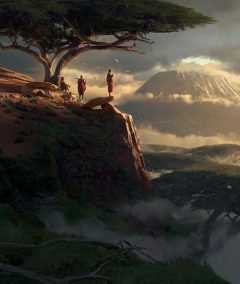 When he explained why he made the transition, he said that, “I think that concept art is a lot quicker and more reactive […]“ As a matte painter, Florent worked at MPC, Rodeo FX and Solid State Images. For those of you who are interested in the productions he’s been involved with, the main ones are: Harry Potter and the Deathly Hallows: Part 2, Skyfall and Wrath of the Titans. Still, this is all but a stepping stone in Florent’s journey as a creative professional. 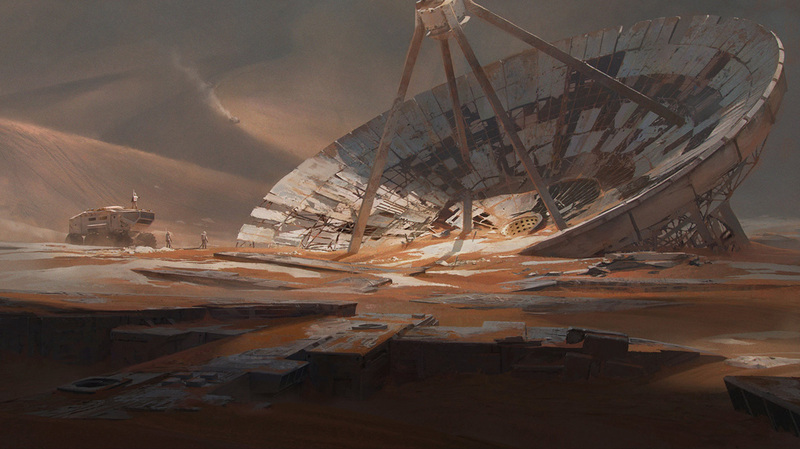 His first popular concept art piece on ArtStation was Abandoned Station, a large-scale environment shot he created three years ago. After that, he went on to create a number of amazing digital 2D pieces before sharing his weekly homework for his Learn Squared class with Maciej Kuciara. As you might expect, one person producing so many high quality pieces is going to be turning heads, and it didn’t take long before Florent’s hard work paid off and he landed his dream job at One Pixel Brush. Now, if you know anything about job hunting in this industry, you’ll know that one of the first tips you’ll receive is to tailor your portfolio for the studio you want to work for. A quick look at Florent’s ArtStation page will show you that high-end photorealistic environments are his specialty, and that could only compliment what’s currently being done at OPB. The clearest influence on his portfolio is The Last of Us, in other words: the concept artists at Naughty Dog, but this is something that Florent and I will discuss in more depth during the interview. We hope that you find his story inspiring, especially if you’re someone who’s unsure if you really want to continue doing whatever it is that you do. OK. So, I m a thirty-two year old french guy who’s been living and working in Montreal for the past five years. I used to work as a matte painter for feature films, but now I’m working as a concept artist at One Pixel Brush. Honestly, maybe I was introduced into the digital art world a little later than I should have been. I joined a VFX school in my home town when i was twenty years old, allowing me to discover a whole new world with 3D, animation, compositing, Photoshop, etc… everything was quite new and pretty exciting! I learnt to use my first graphics tablet here, and went on to make my first digital painting. After that, I got really hooked on matte painting and started to work as a matte painter after school. Not so long ago, you’d find that nothing’s really changed since then, but all’s different now. 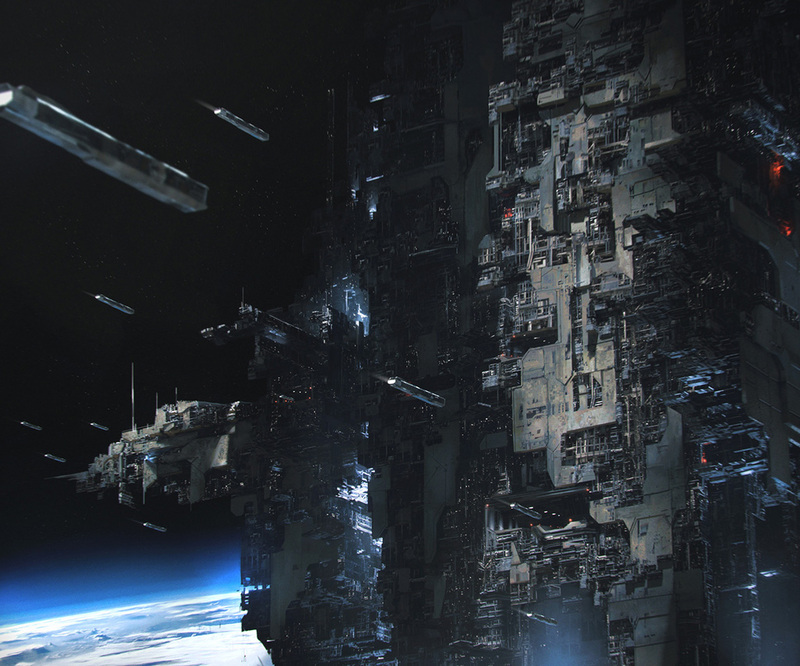 What’s it like to make the transition from matte painter to concept artist? I had a growing interest in concept art, and that interest was becoming much more prevalent as I improved my skill-set. I started to paint again and I felt that I was having a lot more fun doing that. From a more technical side, I guess it was a smooth transition because I learnt to use photos during my time, and concept art nowadays has a lot to do with photo-bashing. Still, there is that extra bit of fun, so I was instantly hooked. Lastly, matte paintings are a long and painful process. You can spend weeks—even months—working on a single image, and you can expect the client to ask you for lots of retakes. I think that concept art is a lot quicker and more reactive (at least in my experience). And you got a job at One Pixel Brush right off the bat! OPB has an amazing reputation in the concept art community, so what’s it like to work there? I was working to tailor my portfolio to get the job at OPB. I’m going to sound really cliché, but when I arrived in Montreal and started painting again, I decided to play The Last of Us. That game was a real game changer for me, and it opened my eyes to the fact that this is what I really want to do. The game was stunning and the concept art for it was out of this world, so I made it my mission to work on a project like that. This is when I came across One Pixel Brush. I began sharing my work online and go in touch with Shaddy Safadi. It all happened very naturally, and I feel amazing now that I’m finally working there. They’ve got great projects, an amazing team and a solid art direction. Mariusz Kozik is a Polish Illustrator with 25 years’ worth of experience. He focuses on creating high-end marketing illustrations for some of the most acclaimed franchises in the strategy genre—Sid Meier’s Civilization and Total War—with as much historical accuracy as possible. His isn’t a famous artist, but if you’re an active member of the PC gaming community, you would have seen his work on the Steam Store before. It’s unmissable. Kozik is currently living in Lublin, where he works for Creative Assembly, SEGA. And so long as he continues to work there, you can expect to see more of his amazingly detailed promotional art with every (?) new Total War release! Our exclusive interview with Mariusz Kozik is coming soon. Stay tuned if you’re a fan of historical settings! You took an Environment Painting class with Maciej Kuciara. Would you recommend Learn Squared to other digital artists? There’s more and more of these online learning resources popping up in our community, so it’s good to get a review from someone who actually took a class. Learn Squared is an incredibly cheap class if you consider what it is that you’re getting. Learning so much new information from real professionals is always going to be a positive experience. I also bought two of Jama Jurabaev’s classes, and yes, they were also amazing. I never took any other online courses, but I feel that as long as the ones that teach it are active professionals, it’ll continue to be the best! CGMA looks really great as well, you can take classes with artist like Aaron Limonick or Kalen Chock, I mean, just the idea of learning from them is amazing. If I had to move to a school, I would probably pick Brainstorm because of the teachers. Of course, there’s also simpler ways to learn, like Gumroad. It’s actually amazing if you compare what we have now to what we had ten years ago. But Learn Squared is my #1 choice for online courses. You must have an interesting workflow. Why don’t you tell us about the techniques and processes you used to make your newest portfolio artwork? I was inspired by the work of Paul Chadeisson when I decided to make my newest piece. He is creating these immense structures, and i wanted to do the same. I don’t really have a rigid process, so I like to test different things almost every time. For this, I wanted to find a way to do it in 3D. I mainly used Modo, meaning that I’m able to pick a different composition as many times as I’d like. I usually use a simple render, here, I used Modo replicators and basic textures on the meshes, after that, I took it to Photoshop and painted atop the 3D model. I’m now comfortable using 3D-Coat, so maybe I would approach it differently if I was asked to do it again. The cool thing is that there’s a thousand ways to do something. 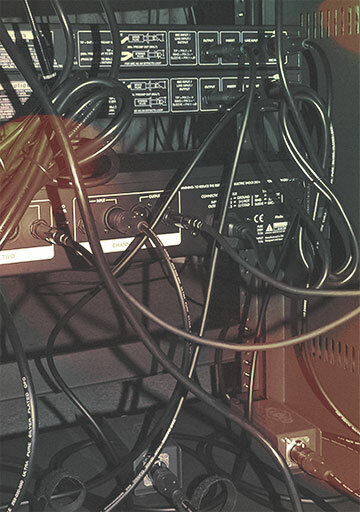 That’s what I love about making images. How do you feel about VR concept art? 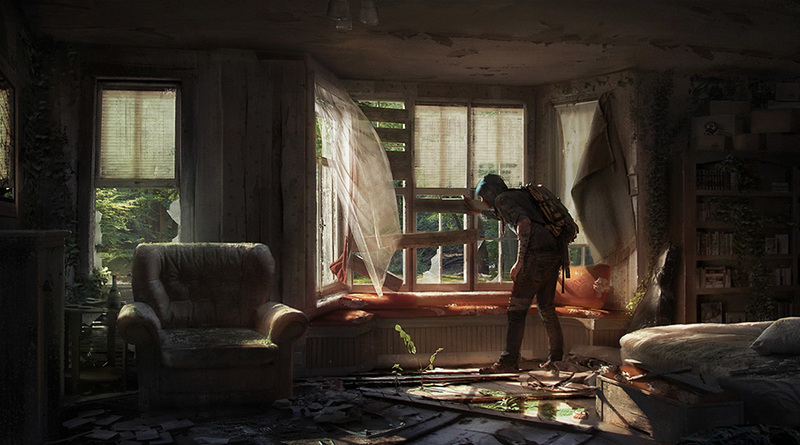 You mentioned Jama Jurabaev’s class earlier, he’s big on 360 degree concept art. I barely tested it, but when i see Jama doing his thing, I always think, “Wow… this will play a big part in our industry for sure!” He’s is a visionary, and he actually pushes concept art in new directions all of the time. I mean, he did it with 3D-Coat already, and a lot of the other things he’s posting do it too. It’s like, he’s pushing the boundaries 24/7 and he isn’t afraid to test new things that other artists won’t think of. Who is your biggest inspiration and how do they influence your work? I guess the number of people who inspire me grows every single day. There’s a lot of names I could list, but I can’t really boil it down to just one because I love a lot of different artists who have their own individual styles. 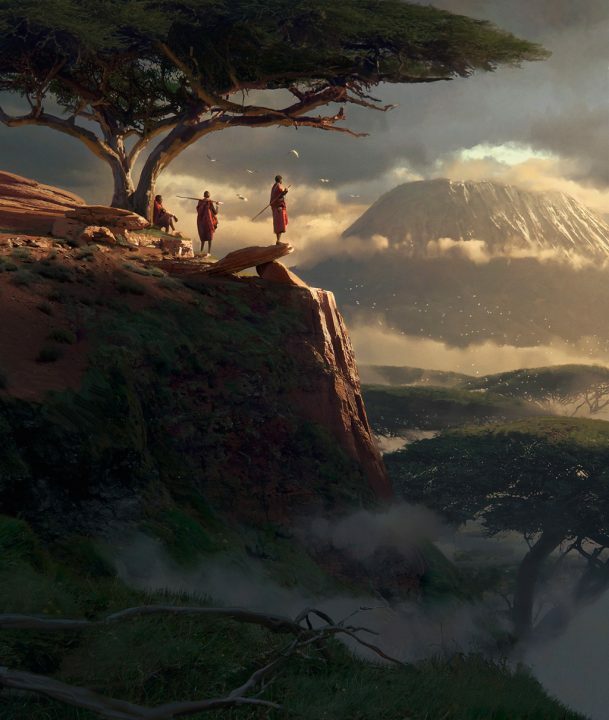 I’m more interested in digital artists, so if I was to try and narrow it down, you’d find the guys working over at Naughty Dog, Jama, Paul Chadeisson, Theo Prins, etc… it’s impossible to pick one. They all influence my work in the end, but I tried not to be a pale copy of their work, and I think it’s important to draw a line between inspiration and copying. Are there commercial projects that you really want to work on? When I first played The Last of Us, I was kind of bummed out because I was good enough at the time but didn’t work on it, and it was the game that really motivated me. Now that I’m working on the second one at One Pixel Brush, I really can’t think of anything else. The style and the level of ‘finish’ on the artwork never cease to amaze me. It was my dream project and I’m a part of it today. What’s next for Florent Lebrun? Hah, we will see, for now, I’m finally enjoying working as a freelance concept artist. I’ve been looking for that for a long, long time. Working on an amazing project has made me happier, too! Will have to see about next year, I have some projects lines up but none of it’s been confirmed as of yet. 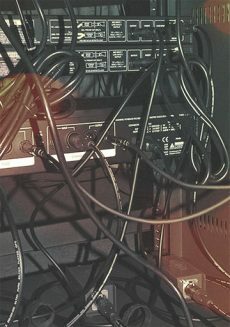 After that, I’d like to start a personal project, I imagine that would be a lot of fun! © Florent Lebrun or respective copyright holders.